This baby is part of the brown-haired collection and has a length of 7 cm. 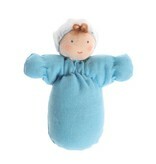 These dolls are made in Europe in the traditional handcrafted method. Their very lovely faces are also painted by hand, giving each doll a unique expression. 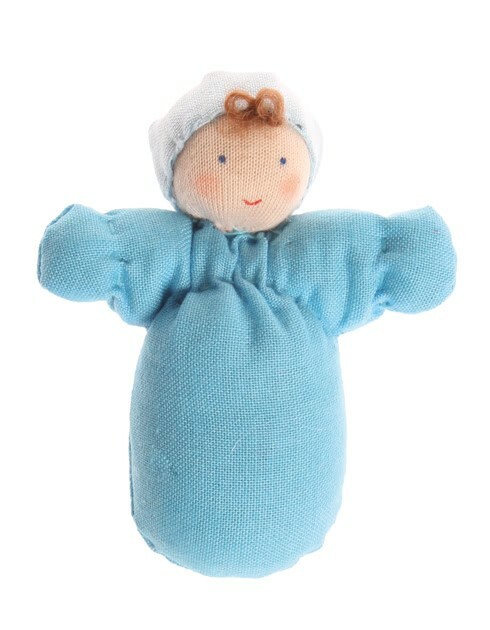 Only certified fabrics are used for these dolls and they are all stuffed with wool.